Email us a review of your last cruise and we'll give you cruise vouchers to discount the cost of your next one. The MSC Armonia is a 13 deck cruise ship which is an identical sister ship of the MSC Sinfonia, MSC Opera (with which many South Africans will be familiar) and the MSC Lirica. The Italian name literally translates to 'harmony' which is exactly the atmosphere that has been created on the luxury cruise liner. When the new longer Armonia returned from the dry dock on the 19th November 2014, she had been fitted with MSC Cruises' first lego-themed kiddies playroom. The Mini Club (3 to 6 years) and the Junior Club (7 to 11 years) were set up lego-brick-style. You can check availability for cruise bookings by filling in the form below (email cruises@southafrica.to if you're experiencing difficulties, or phone 021-531-7453). 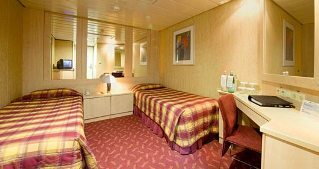 September 2011, a family booked a cruise with MSC Armonia and thought "the ship was lovely, many nice places to sit in quiet if needed. Nicely decorated. We could not fault it." 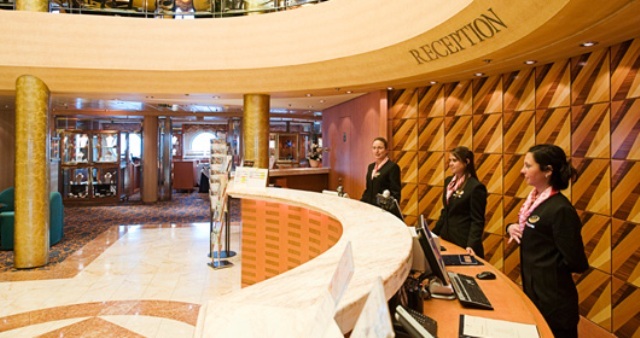 A couple in their mid forties sailed on the MSC Armonia in November 2009. They were particularly happy with the service of the staff, "all our experiences with staff at all levels was nothing but good with happy smiles everywhere we ventured and all queries and requests dealt with without us feeling in the least bit as though we were just bothersome creatures interfering the the efficient running of the ship." Watch this space - no specials at the moment. Cruise Mediterranean style with the MSC Armonia and her Italian crew...let her become your Italian Stallion. The Armonia was in the dry dock from August 2014, and made her comeback on the 19th November 2014 with a 10 night inaugural (ALL INCLUSIVE) cruise from Genoa (Italy) to the Canary Islands. Special entertainment was planned for this once-off cruise, which included spectacular firework displays and a special gala dinner. Having been lengthened at the dry dock, this cruise offered passengers the first opportunity to enjoy her new facilities, which include more balcony cabins, a new spray park, new improved kids areas and extended spa with a Solarium. 12 November 2013 : MSC Cruises have announced that they plan a refit of the MSC Armonia, MSC Sinfonia, MSC Opera and MSC Lirica. About 200 cabins will be added, including more balcony cabins. 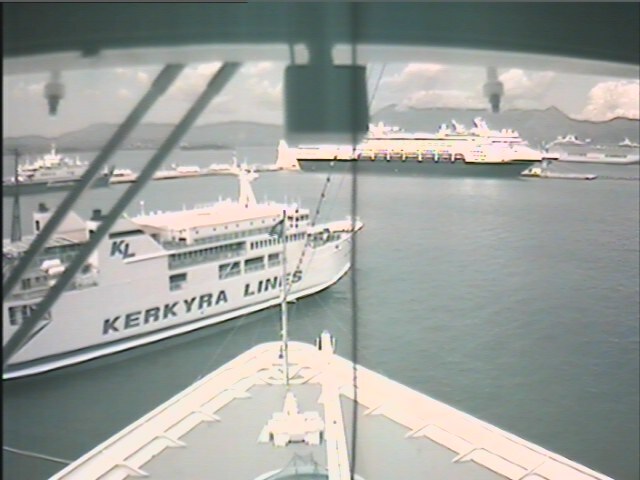 17 September 2013 : The MSC Armonia enters Corfu (Greece). 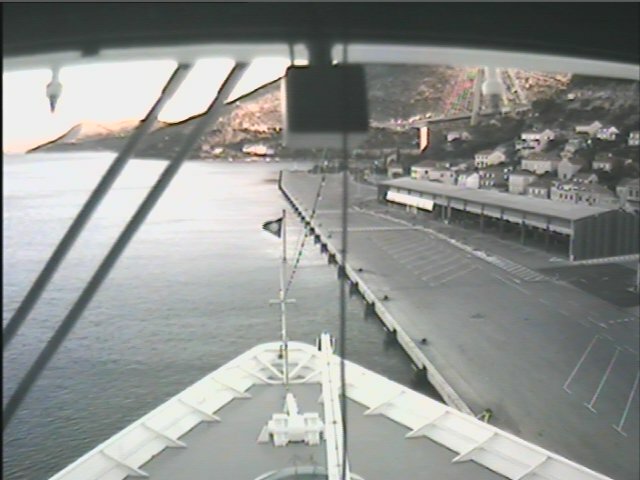 15 September 2013 : The MSC Armonia docks in Dubrovnik. April to October 2013 : MSC Armonia's new home port is Venice, operating 7 day cruises from Venice to Ancona, Dubrovnik, Corfù, Gythion, Cefalonia, Kotor and then back to Venice. November 2012 : MSC Armonia will set sail for her new home port in Sharm El Sheikh, Egypt. The ships itinerary will include destinations of the Red Sea. The ship is scheduled to leave the Red Sea in April 2013. 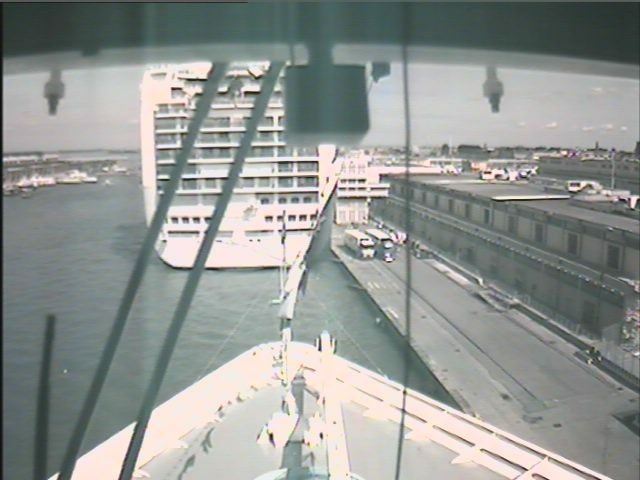 April 2010 : MSC Armonia spotted in Venice. 2004 : Festival cruises goes bankrupt & MSC Cruises buys the European Vision & her sister ship and renames them the MSC Armonia and the MSC Sinfonia. 20-22 July 2001 : European Vision was chartered for the G8 Summit in Genoa, Italy. 2001 : Built for Festival Cruises and was named European Vision. 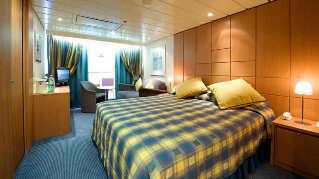 The MSC Armonia is a "Mistral class" ship, and can accommodate guests in 783 cabins, of which 132 are balcony suites (in addition to some 700 crew members). 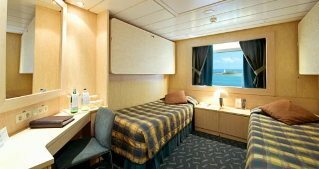 There are also ocean view cabins and inside cabins (including a few that are suitable for passengers with disabilities). The Armonia is 251m long and weighs 58,600 tons. It has 4 restaurants (1 outdoor dining area), 10 bars (1 outdoor pool bar), 2 pools & 2 whirlpools. 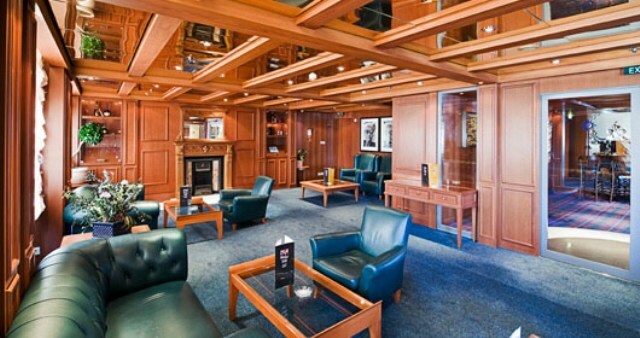 Inside the ship are the MSC Aurea Spa & Solarium, children's play area, a video game room, a disco, an internet cafe, a casino, a medical centre &business conference room. The Armonia offers a running track for the early morning joggers, mini golf and a sports centre for those who enjoy basketball, tennis and volleyball. Balcony suites have a double bed & a bathroom with a tub. There is availability of internet connection using your own laptop (on payment). It is some 22 square metres in size. Cabins for people with disabilities have two fixed single beds, a bathroom with a shower, a wardrobe, a mini bar & safe & a TV. It is some 21 square metres in size. There are 4 inside wheelchair friendly cabins. The La Gondola Theatre on the Armonia is two decks high on the forward part of the ship. Hola! Our statistics show us that you are the first person to ever read to the bottom of this document (jokes!). You hopefully have as much info as you need to make your MSC Armonia cruise booking - if not, pop us a question in the comment section below or just leave some feedback to say hello - we love it when our readers do that. Alternatively, emails us at cruises@southafrica.to (use same email addy to send us cruise photos - another thing we love! ).